Oily skin is caused by overactive sebaceous glands. These glands produce natural oil or sebum to keep the skin moisturised but excessive production leads to oily skin. People with oily skin are more prone to acne and blackheads. The main cause of oily skin is hormonal changes. Hormonal changes during adolescence, menstruation, pregnancy or consumption of birth control pills leads to oily skin. But this condition can be controlled with the help of natural DIY home remedies such as egg whites. Is Egg White Useful for Oily Skin? The natural astringent properties of egg whites shrink and tighten open pores which in turn controls the release of excess sebum. The drying property of egg white draws out excess oil, and dirt form deep inside the skin pores. The vitamins, amino acids and proteins in egg white enhance the elasticity of skin and give it a youthful appearance. 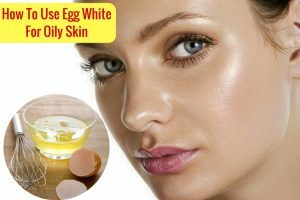 How to Use Egg White for Oily Skin? Several ways of using egg white are mentioned below. You can choose any one as per you interest and try it regularly to get rid of oily skin. Cleanse your face with lukewarm water to open up the pores. Using a cotton ball, apply the egg white all over your face. Wash your face with water and apply a light moisturizer. Lemon is a rich source of vitamin C and alpha hydroxyl acids that work as a potent astringent to shrink the skin pores and reduce sebum production in the skin. It also lightens the skin tone and corrects discoloration. Add a teaspoon of fresh lemon juice to the egg white and whisk it well till it turns frothy. Apply the mask evenly all over your face and let it dry on its own. Wash your face with lukewarm water and pat dry with a soft towel. Honey absorbs excess moisture from the skin and prevents excessive oiliness without drying it out completely. The antibacterial and antiseptic properties of honey fight pimples and acne. Add a tablespoon of honey to it and whisk well till it turns frothy. Clean your face with lukewarm water and dry it with a towel. Apply a thin coat of this face pack all over your face using a brush. The saponin content in oatmeal makes it an excellent skin cleanser that removes excess oil, sebum and dirt from the skin without stripping away the natural oils. Soak 2 tablespoons of oatmeal in some water for 10 minutes. Add an egg white to it and whisk well to form a thick paste. Apply this paste on face and leave it on for 20 to 30 minutes. Wash it off with lukewarm water and pat dry with a soft towel. Striping away all the oils from the skin increases sebum production which in turn makes the skin oilier. The moisturizing Monounsaturated Fatty Acids in avocado prevents excessive oil production in the skin by keeping it well-moisturised. Take 1/4th cup of ripe avocado in a bowl and mash it using a spoon. Add an egg white to it and whisk it with a fork. Apply this mixture to your face and gently massage in circular motions for 3 to 5 minutes. Leave it on for 20 to 30 minutes and then wash it off with warm water. The natural astringent properties of tea tree oil shrinks the skin pores and reduces sebum production in the skin. Its antiseptic properties help to treat acne and pimples. Take a tablespoon of water and add 4 to 5 drops of tea tree oil to it. Add this mixture to an egg white and whisk it thoroughly. Apply this mixture evenly all over your face using a soft brush. Leave it on to dry completely and then wash it off with lukewarm water. Baking soda acts as a drying agent that removes excess oil and sebum from the skin while it’s exfoliating properties removes dirt and dead skin cells from the skin. Add a tablespoon of baking soda to an egg white. Whisk it till it forms a frothy mixture. You can add some water to adjust the consistency of the mixture. Apply this paste all over your face and leave it to air dry. Wash your face with lukewarm water, dry with a towel and apply a light moisturizer. The mild astringent and exfoliating properties of cornmeal helps to soak away excess oil and remove dirt and dead skin cells from the skin surface without damaging it. Add a tablespoon of corn meal and some water to an egg white. Whisk all the ingredients to make a smooth paste. Apply it all over your face and leave it on for 30 minutes. Rinse your face with lukewarm water, dry with a soft towel and apply a gel-based moisturizer. The soothing and cooling effect of cucumber absorbs heat from the skin, removes excess oil and closes the open pores. Grate 1/2 of a cucumber and squeeze out its juice. Add the cucumber juice to an egg white and whisk it thoroughly. Apply this mixture to your face and let it dry on its own. Wash your face with lukewarm water and dry with a towel. 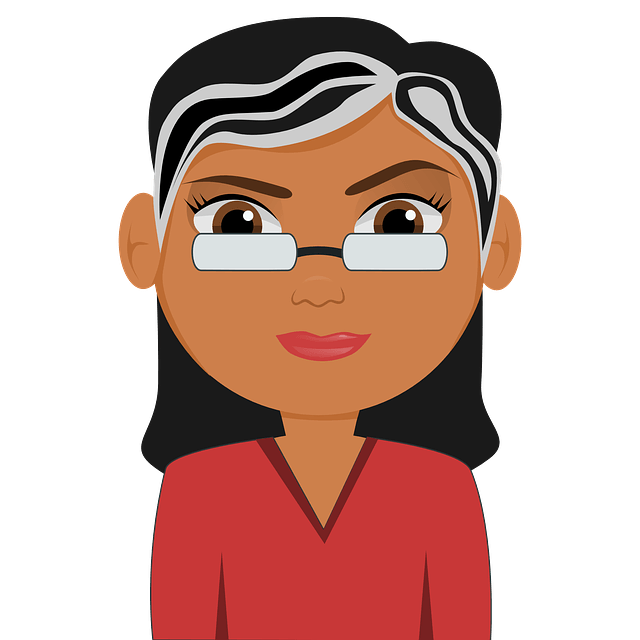 Follow the process 2 – 3 times in a week. Lactic acid present in plain yogurt exfoliates the skin and removes excess oil and sebum without drying out the skin completely. Add a tablespoon of plain yogurt to an egg white. Whisk it using a spoon and apply this pack all over your face. Leave it on for 30 minutes and then wash it off with lukewarm water. Vitamin C present in apples boost collagen production in the skin that prevents the appearance of wrinkles and fine lines. It also maintains the oil balance in the skin. Vitamin A found in apples rejuvenate the damaged skin tissues and promote the growth of new cells. Add a cup of water to a pan and bring it to a boil. Add 1/4th cup of oatmeal to it and cook for 2 minutes. Remove from heat and let the cooked oatmeal cool down completely. Take an apple and chop it into medium-sized cubes. Add the apple cubes in a blender and blend to make a fine paste. Mix all these ingredients thoroughly with the help of a spoon. Apply this mask all over your face and leave it on for 15 to 20 minutes. Rinse with water and pat dry with a towel. Repeat this process twice a week for best results. Although, it is absolutely safe to apply egg white topically, but some people might be allergic to eggs, so it is best to perform a patch test before trying these home remedies. Egg whites can make the skin excessively dry so it is recommended to use a light, oil-free moisturizer after using these remedies. Always use freshly prepares mixtures for all the remedies. Avoid storing the leftover mixture for later use. Don’t apply the egg mixture to the skin around your eyes. Don’t wash your face more than twice a day. Washing too often strips away the natural oils from the skin and promotes the sebaceous glands to produce even more oil. Use lukewarm water to wash your face to relax and soothe the skin. Use skin care products specifically designed for oily skin. Apply oil-free sunscreen and moisturizer to protect your skin from the sun. Stay hydrated by drinking plenty to water every day. Limit the intake of sugar, salty and fired foods, eat plenty of fresh fruits, vegetables, whole grains, proteins and healthy fats. So, try out these remedies for oily skin using all-natural ingredients and share your suggestions, experience and tips with us in the comments section below.